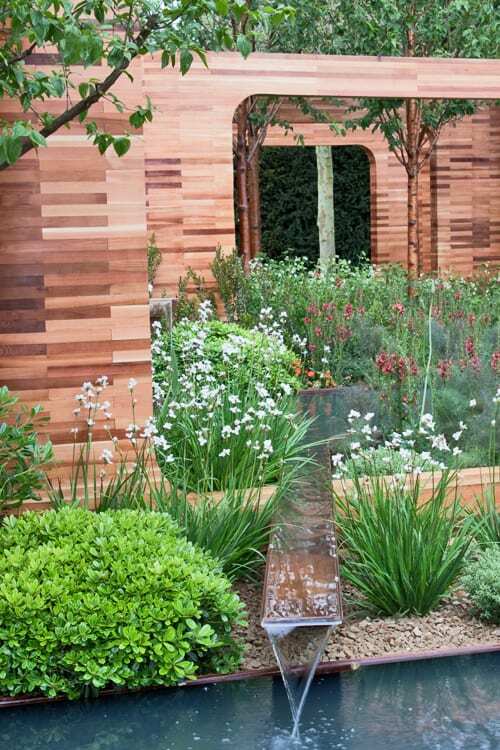 If you’re a regular reader of Flowerona, you may remember that earlier in the year I interviewed Joe Swift about designing his first show garden for the RHS Chelsea Flower Show. Huge congratulations to Joe on winning a gold medal this week…it’s a wonderful achievement. And also many congratulations to Homebase and the landscape contractor, Willerby Landscapes. 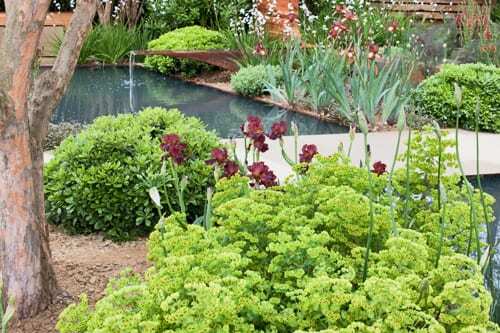 What struck me about Joe’s design was that it really stood out from the other gardens due to the colour palette he’d used for his planting. The warm colour tones of gold, orange and burgundy were a complete contrast to the pastel pinks and purples displayed in other designs. 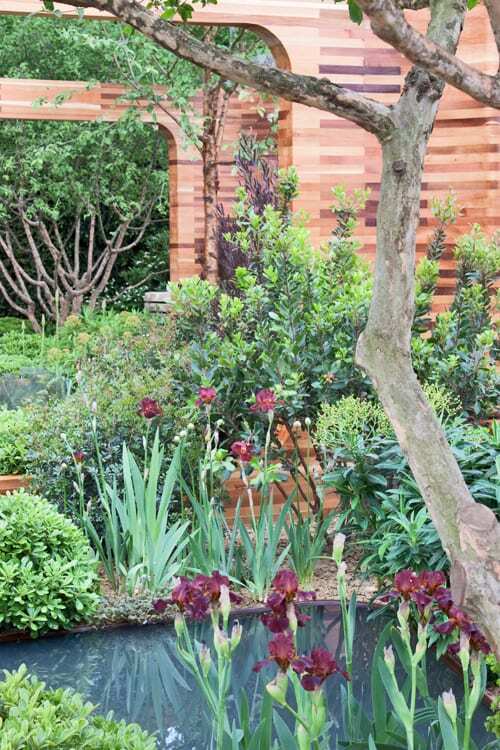 And not normally a great fan of irises, I loved the bearded irises called Iris ‘Langport Wren’ which he used…and the way they harmonised with the lime green euphorbias. 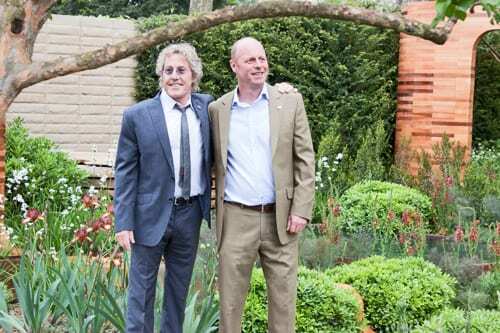 On Press Day, the garden also had a special visitor in the form of The Who front man, Mr. Roger Daltrey. Here’s Roger with Joe below. If you’d like to create your very own Chelsea look, Homebase have put together a special Chelsea Collection, inspired by the garden. It’s available in stores now and aims to inspire gardeners of all levels to re-create a bit of Chelsea magic, featuring similar plants to those used in Joe’s design.